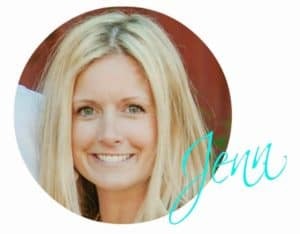 I received paint from Sherwin-Williams as compensation for this post. All photos, thoughts, and opinions are my own and no other compensation was provided. 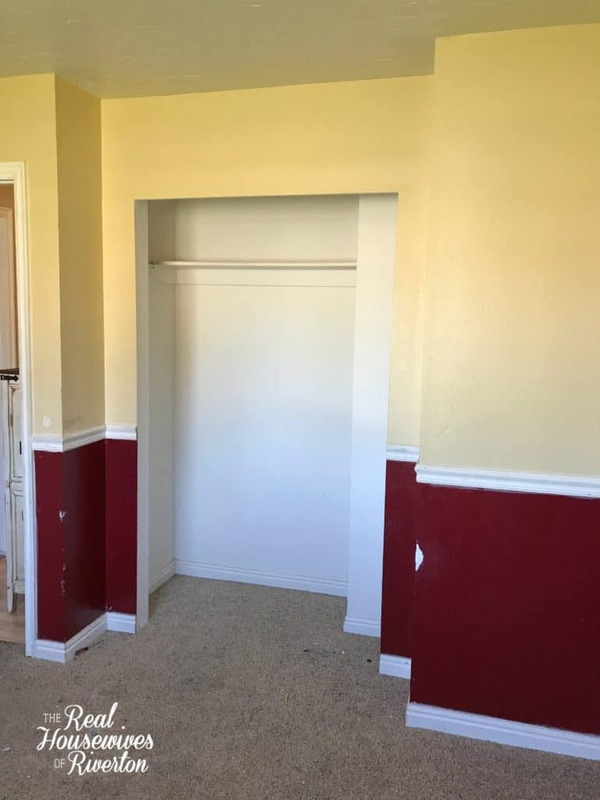 Recently we bit the bullet and tackled the saddest room in our home. Our poor Mia had been living in a very dated, quite small, not at all cute bedroom for a while now. 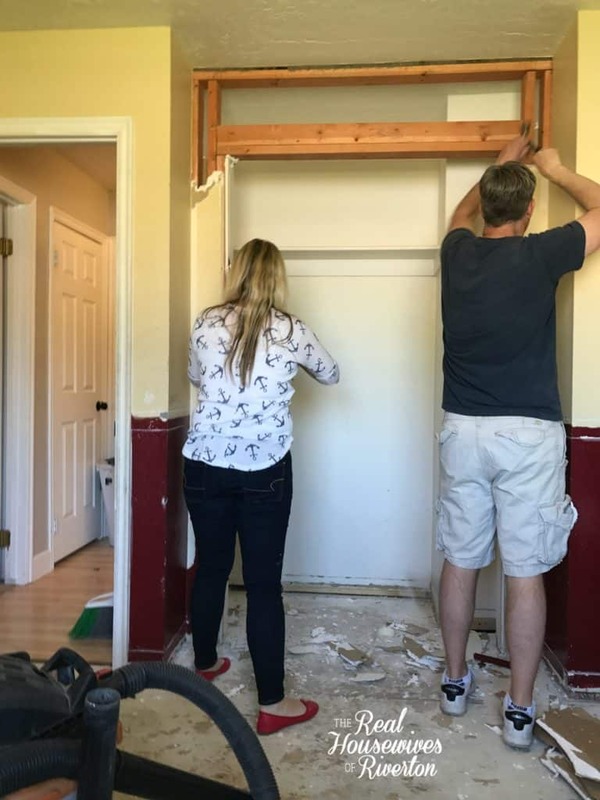 This was one of those rooms that required a makeover from the carpet to the ceiling, there was nothing that would remain once we were done with it. 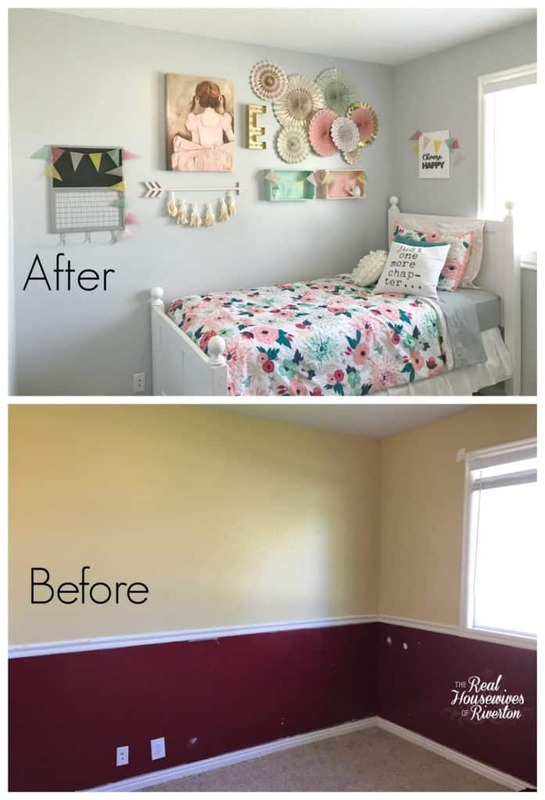 I was so excited for this bedroom makeover! As you can see the room needed a lot of help! Because nothing was broken or ruined, so to speak, this bedroom makeover kept being pushed to the back burner. It is a very small room measuring approx. 9’x 11′ not counting the closet. Since she’s the only one in the room it’s plenty big enough for her but it’s still the smallest room in the house. 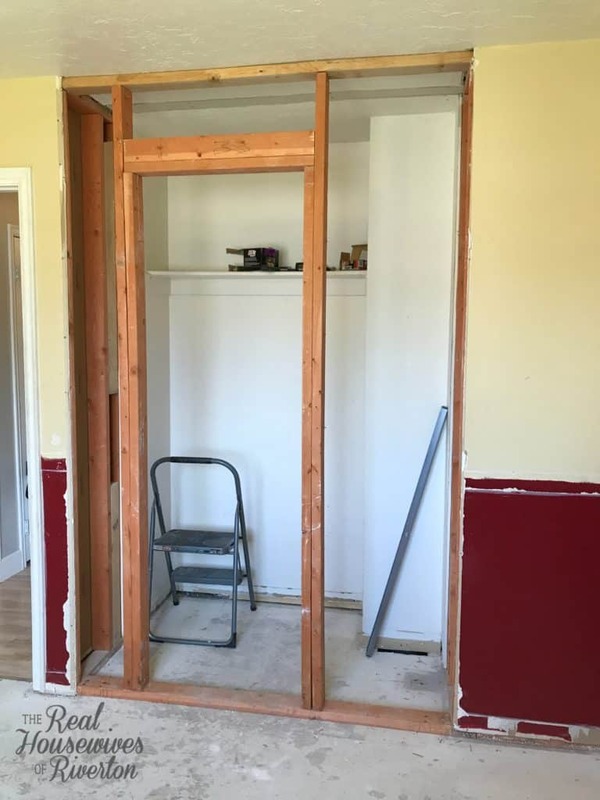 …if we did it right we could pull the framing for the closet door, in tact, and bring it out which would make the closet bigger (YAY) and square off the room eliminating the weird alcove that lead into the closet area. At first I was worried that doing this would make the bedroom feel even smaller, even though that area was totally wasted space I was still worried. I’m so glad I didn’t listen to my first worry! 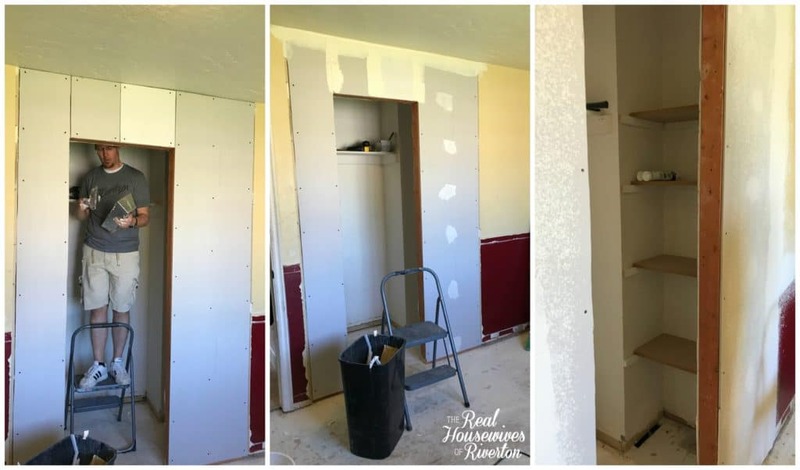 I was amazed at how much better the whole room looked right away, extra storage in the closet and somehow making the closet bigger made the room feel bigger too! Extending the closet allowed for us to add shelves inside the closet. One of the best things about building yourself is that you can make the height of the shelves the height that works for you and the things that would be put on the shelves. The top shelf is bigger than the others because we wanted Mia to have a place for her American Girl Dolls in their boxes when she didn’t have them out. Lots of additional room for books and other special items. Once the closet was built it was time to start painting. I was so excited to get the paint on the walls!!! Before we started painting the bedroom walls we gave the ceiling and closet both a fresh coat of white paint. We picked the most beautiful color from Sherwin-Williams, the name is Gray Screen for the bedroom walls and we all absolutely love it. Paint is one of the easiest ways to completely change the look of a bedroom. From the first coat of paint on just one wall the changes were so exciting I was ready to get everything done that night! 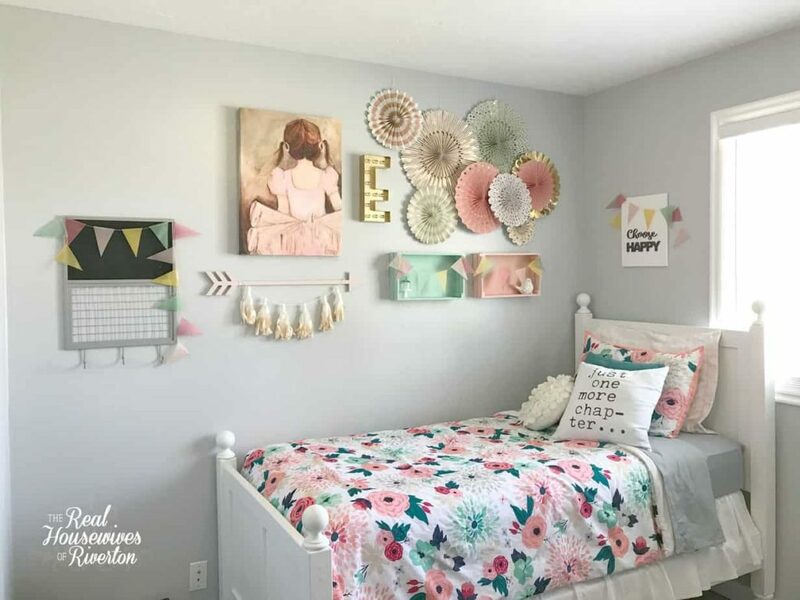 For Mia’s bedroom makeover we used Sherwin-Williams Emerald Semi-Gloss paint on the walls. The people at our local Sherwin-Williams store were so helpful. 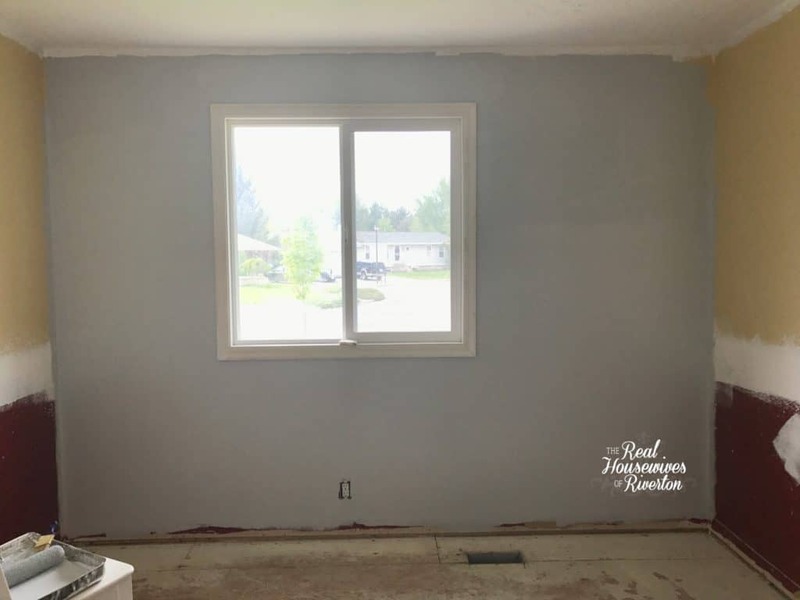 They helped us pick a paint and primer that would cover the red lower walls without having to paint an excessive amount of coats. Emerald is Sherwin-Williams finest interior paint and primer in one. Emerald helps hide stains and cover darker colors allowing you to achieve stunning results in fewer coats. is a paint and primer in one with advanced stain-blocking technology. hides stains and covers dark colors for a beautiful, smooth finish and stunning color for years to come. provides exceptional coverage and advanced washability in all finishes, with outstanding resistance to water streaking and spotting. contains anti-microbial agents that inhibit the growth of mold and mildew on the paint surface. I think it’s easy to see why this was the best choice for a child’s bedroom, especially a child’s bedroom that has a red lower half wall. Everything else aside I love that when something gets onto the walls (and it will being a child’s room) we can scrub it off without having to worry about scrubbing the paint off. We painted her entire bedroom with just one gallon of Emerald paint and the coverage is amazing. This Gray Screen color is such a perfect grey. 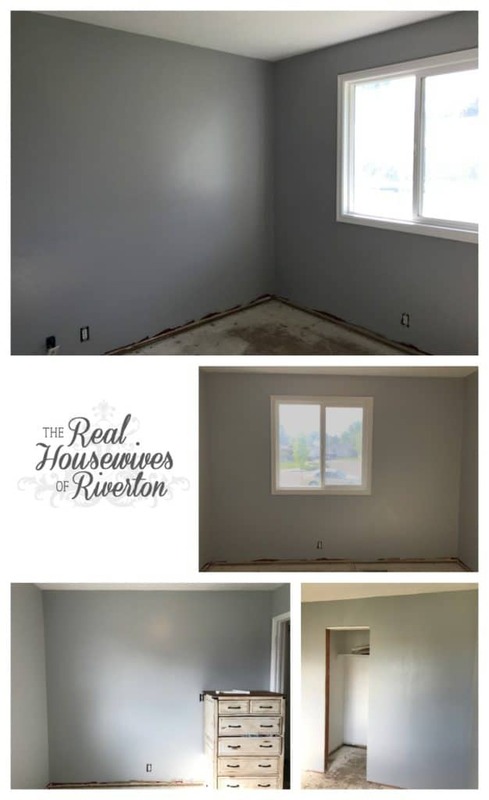 Not to dark, not to light, not to blue, green, beige, purple…it’s just perfectly grey and looks so good with the crisp white ceiling, trim, closet, furniture, I can’t wait to show you more of this small bedroom makeover. I promise to not make you wait too long because I love the room so much I don’t have the patience myself to hold it in. I’ll leave you with this beautiful photo of one side of the room finished. In future posts I’ll share where everything came from but if you have any questions now don’t hesitate to ask in the comments below! So cute! I love how you brightened the room up with a lighter color. Thanks for sharing! Thank you for stopping by our site and for your kind comment, we love how the room came together and how fun it was to do!